Varèse Sarabande Records closed out its yearlong 35th anniversary celebration with the Golden State Pops Orchestra with a heartwarming holiday concert at the Warner Grand Theatre Dec. 21. Varèse Sarabande executive producer Robert Townson on stage with Maestro Steven Allen Fox, the orchestra, the evening’s featured performer vocalists, and flute soloist Sara Andon. In honor of three and a half decades of releasing film music, Varèse Sarabande hosted a series of four concerts with GSPO during the orchestra’s 2012/2013 season. Produced and hosted by the label’s executive producer, Robert Townson, the December concert featured memorable scores from Hollywood’s holiday classics to seasonal film favorites. 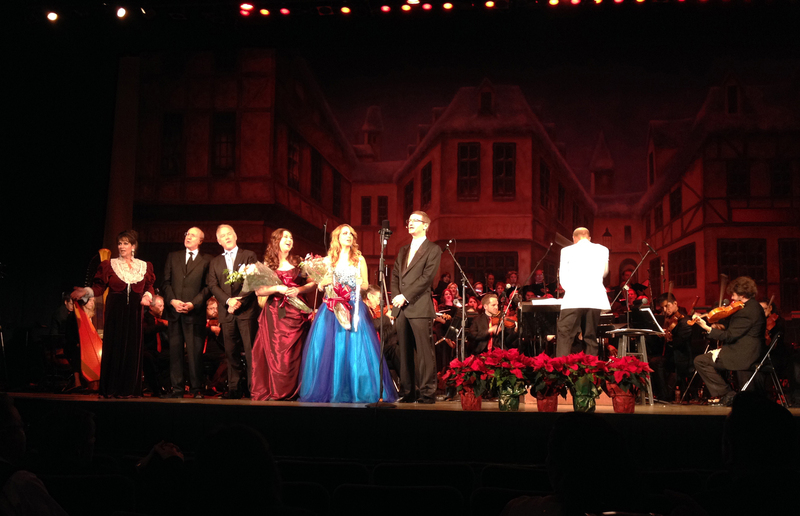 This entry was posted in All News and tagged concerts, Golden State Pops Orchestra, GSPO, holiday music, live music, Varese Sarabande on February 26, 2014 by admin.